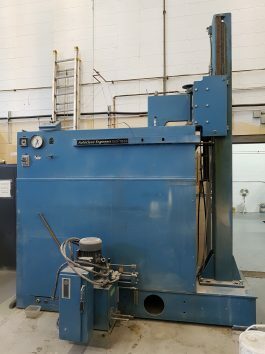 Aadvanced Machinery sells used isostatic presses in both cold or wet bag isostatic and hot isostatic designs. Isostatic pressing is a process for compacting powdered materials into useful configurations under high pressure. By subjecting the material to equal and simultaneous pressure over all of its surfaces, maximum uniformity is achieved in density and grain structure, along with uniform strength in all directions. We are currently looking to buy wet bag or cold isostatic presses from Autoclave Engineers, ABB, National Forge and Loomis. 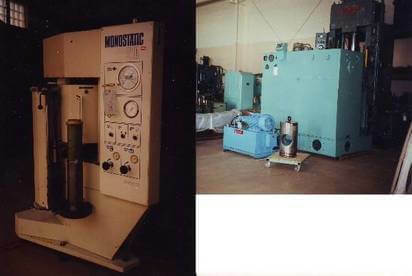 We are also looking for dry bag isostatic presses from Pentronix, Olin, and Loomis. Please contact us with your surplus isostatic presses.